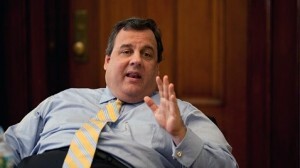 Stick A Fork In Chris Christie. He’s Done. It was only a matter of time before the rats started abandoning the sinking ship known as Chris Christie. The bigger question was which of the rats would start talking first. In a letter released by his lawyer, David Wildstein, a high school friend of Mr. Christie’s who was appointed with the governor’s blessing at the Port Authority of New York and New Jersey, which controls the bridge, described the order to close the lanes as “the Christie administration’s order” and said “evidence exists as well tying Mr. Christie to having knowledge of the lane closures, during the period when the lanes were closed, contrary to what the governor stated publicly in a two-hour press conference” three weeks ago. Come on Bridget Kelly! Don’t let him be the only one to spill the tea! Christie has already thrown you under the bus and backed over you a few times! Stop protecting him. Im quite sure there will be more letters and emails tying Christie into Bridgegate. The fat lady is warming up Governor Christie. Perhaps you should have been more loyal to the people who did YOUR dirty work!